Stratford upon Avon Boat Club were represented at this year’s Vesta International Eights Head of The River race on Sunday. 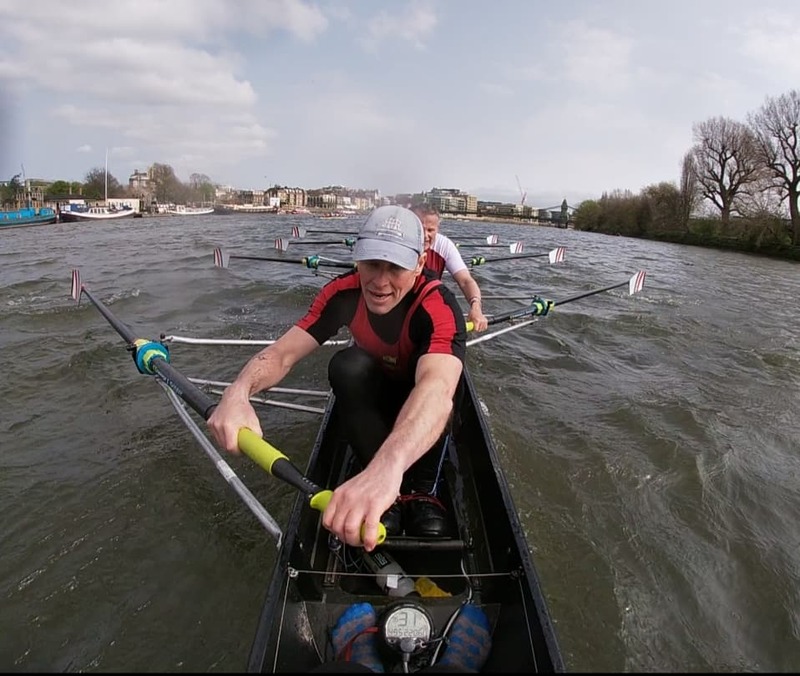 The race, which is the premier veterans’ rowing event of the year, is held over the championship course which is better known as the Oxford and Cambridge Boat Race course in central London on the Thames. On a clear but blustery day, over 245 crews set off from Mortlake for the 6.8km timed race down to Putney at ten second intervals making for some exciting racing over the whole length of the course. 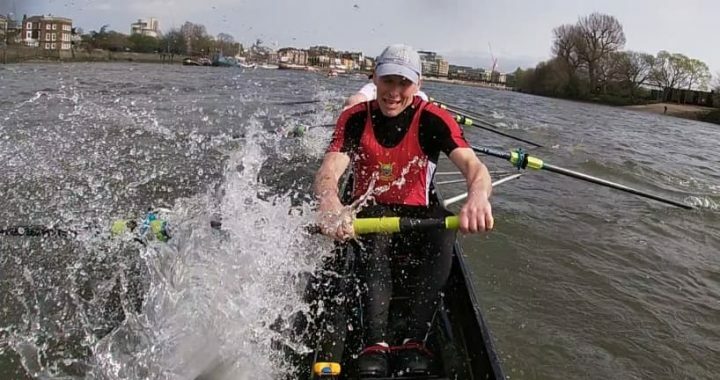 Stratford upon Avon Boat Club provided the majority share of a composite crew with fellow Midland clubs from Warwick Boat Club and Bridgnorth Rowing Club. The crew, stroked by Paul Wallis from Bridgnorth, comprised Tom Doherty (Stratford) at 7, Richard Nelson (Stratford) at 6, Rob Graham (Bridgnorth) at 5, Tim Grimsdale (Bridgnorth) at 4, Gary Clay (Stratford) at 3, Jon Martin (Warwick) at 2 and Simon Beard (Stratford) at bow with Sarah Graham (Bridgnorth) at cox. The crew racing in the Masters’ E age category section (55 to 60 years) were up against formidable competition with no less than 34 competitors in their age group. The crew, on the back of a much improved showing at the North of England Head at Chester the week before, got off to a fast start taking the rating up to 34 strokes per minute under Chiswick Bridge as they crossed the start with Bewdley and an international Danish crew starting close behind. A solid rating push off the start saw the crew opening a significant gap on the two immediate crews behind as they approached Barnes Bridge. 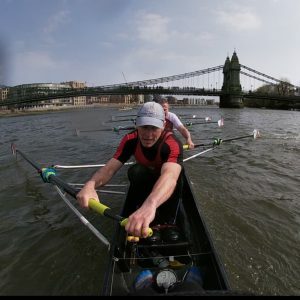 Tricky winds saw the Tideway live up to its reputation as a tough place to row with some large waves leaving most of the crew and the cox soaked. However, not to be deterred, the crew settled in to a good rhythm maintaining 32 strokes per minute for the whole of the remainder of the 6.8km course. This paid dividends as they proceeded to catch a Broxbourne eight by Chiswick Eyot which lead to some lively advice on the merits of considerate steering being exchanged between the crews! 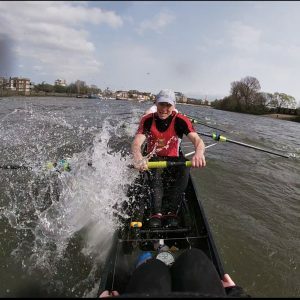 With over half the race completed and the crew going well, a big push saw the crew clear Hammersmith Bridge and its legendary rough water and they proceeded to catch a number of crews as the final few kilometers beaconed. 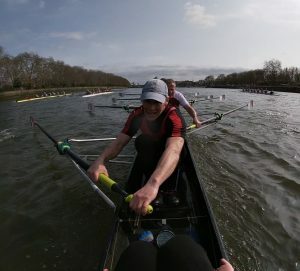 This lead to some exciting racing as the Stratford composite crew closed past Fulham football ground on no less than four crews all line abreast across the river. Holding their own and with some excellent coxing from Sarah Graham, the crew pushed between Putney Town, Ardingley, Grosvenor and Bradford on Avon clubs to inch over the finish line in front providing good excitement for the crowds of spectators. 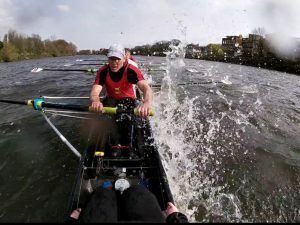 Hard racing over the whole course in blustery conditions saw the crew record a time of 22 minutes and 7 seconds finishing thirteenth out of 35 crews in their Masters E event and 107 seconds behind Moseley, the fastest crew of the day and overall 63rd out of 245 crews that finished the event. 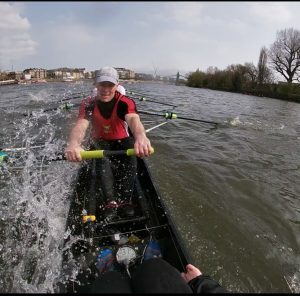 Posted in News and tagged Bridgnorth Rowing Club, Gary Clay, Jon Martin, Paul Wallis, Richard Nelson, Rob Graham, Sarah Graham, Simon Beard, Tim Grimsdale, Tom Doherty, Vesta International Eights Head of The River race, Warwick Boat Club.